Whether shopping for foot pegs or audio systems, we have all the must-have items right here. Choose from top brands to find the right selection for your standards. 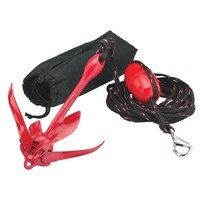 When you want to get out on the water, you need the right gear to make it safe and fun. From whistles to adjustable risers, we have it all in one convenient place so you can get back to the fun with ease. 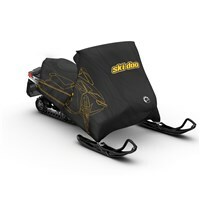 When shopping for Ski-Doo accessories, you need items that make winter riding more enjoyable. From the right tunnel ice scratchers to knee pads, find the right solutions for your riding needs with ease and affordability for a great riding season! When it comes to finding the right gear to go with your favorite vehicle, you need trusted options sure to please. We offer one of the largest selections of Ski-Doo accessories and more to give you everything you need for a great ride. When looking at our selection of Ski-Doo accessories, you will find a wide range of categories ranging from action cameras and vent kits to shovels and suspension solutions. These items are meant to add to your riding experience in some way such as adding LED lights for a brighter light while riding or added storage bags for taking the must-have items on a ride with you. From chassis reinforcement kits to covers, we offer all the essentials right here for your winter riding needs. In addition to our selection of Ski-Doo accessories, you will also find a range of options for other vehicle types. Since BRP produces Ski-Doo, Sea-Doo, and Can-Am, we offer a wide range of accessories covering all three vehicle types and brands. For example, a Sea-Doo might need accessories such as a dry bag to carry important items without worry of them getting damaged or items designed to make docking easier and safer. Whether you need steps, ladders, fuel caddy, or a floating safety lanyard, we have you covered with everything you need for fun on the water. When it comes to fun on land, our Can-Am selection for your favorite brand of all-terrain vehicles has it all. 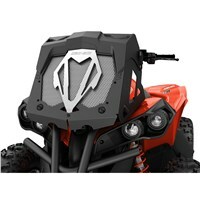 From wind deflectors in a range of cool colors to special rims for a more custom appeal to your ride, find all the must-have gear to make your ATV more to your liking. Whether you need an air intake or snorkel kit, a decal to show your brand loyalty, or a foot peg kit, we have it all right here in our diverse collection of accessories covering land, snow, and sea from the BRP umbrella company. We offer one of the most diverse selections of accessories covering every imaginable vehicle type from BRP. In addition to the diversity of the vehicle types and accessories available, you will also find a wide range of models, model years, and series within each category. We understand how important it is to get an option that will work with the exact specifications of your vehicle. When shopping for items where the vehicle model is important such as frame accessories or handlebars, having the right model specs at the ready is a big help. In addition to the overall diversity of our inventory, you will also find a commitment to quality that is unrivaled on today's market. Every option we offer is made with high-quality materials and thoughtful design to ensure superior manufacturing and a long-lasting product you will love. Whether you need something to add to the appearance of your ride or an addition to make it more functional or comfortable, we are confident you will find the right solution here with our high-quality selection of accessories covering such favorites as Ski-Doo, Sea-Doo, and Can-Am. Order today and add something to extra to your next ride! We are committed to outstanding customer service with every order. If you have any questions while shopping with us, please reach out to our friendly staff for further assistance. We are always happy to help in any way!